Wayne S. DeVeydt serves as executive vice president and chief financial officer for WellPoint, Inc. Having joined WellPoint in March 2005, first as senior vice president and chief accounting officer, DeVeydt became chief financial officer in May 2007 and is responsible for treasury functions, such as capital planning, investments and cash management; investor relations; budgeting and forecasting; financial reporting; tax planning and compliance; and accounting. During 2009-10, he assumed additional responsibilities over internal audit and compliance; leadership over Federal Government Solutions; and oversight for WellPoint actuarial function, including pricing, product development, valuation, healthcare management support, forecasting and other types of actuarial analysis. Prior to joining WellPoint, DeVeydt was a partner with PricewaterhouseCoopers, LLP. He served the firm in many leadership roles, including the lead engagement partner for a number of large, national managed care and insurance companies, including WellPoint Health Networks Inc. He was the Financial Services Site Leader for both the St. Louis and Southern Illinois markets and served on the firm’s national Sarbanes-Oxley Section 404 Advisory Committee. Daniel F. Evans, Jr. was named President and CEO of Indiana University Health (then Clarian Health) in November 2002. Since the organization’s inception in 1997, Evans has been active on the board of directors and served as its chairman from 2000-2002. He previously served on and chaired the Methodist Hospital board of directors. Prior to December 2002, Evans was a partner with Baker & Daniels. An Indianapolis native, he received his JD from the Indiana University School of Law in 1976. Evans serves on numerous community, academic and health care boards and advisory committees, including Indiana Health Information Exchange, Indiana Health Industry Forum, Central Indiana Corporate Partnership, Indiana Hospital Association, Indiana University-Purdue University at Indianapolis Board of Advisors, and the Indianapolis and Indiana Chambers of Commerce, as well as the U.S. Chamber of Commerce. He is chairman of the Indiana Legal Foundation and Indy Partnership. Evans is a member of the American College of Healthcare Executives and is a member of the bars of Indiana, the 7th Circuit, and the U.S. Supreme Court. Mr. Evans was unable to attend the forum but Neil Pickett replaced him. John C. Goodman, Ph.D. founded the National Center for Policy Analysis in 1983 and has served as President since the center’s inception. Goodman is the author of nine books on health care and public policy. Also the author of numerous editorials in publications such as The Wall Street Journal, USA Today, and Investor’s Business Daily, Goodman regularly appears on television, including PBS NewsHour with Jim Lehrer, CNN, CNBC and the Fox News Channel. As a debater, he has appeared on William F. Buckley Jr.’s Firing Line and on a number of prime time debates covering topics such as the flat tax, welfare reform and Social Security privatization. He regularly briefs members of Congress on economic policy issues and frequently testifies before congressional committees. Goodman received a Ph.D. in economics from Columbia University and has taught and conducted research at several colleges and universities including Columbia University, Stanford University, Dartmouth University, Southern Methodist University and the University of Dallas. 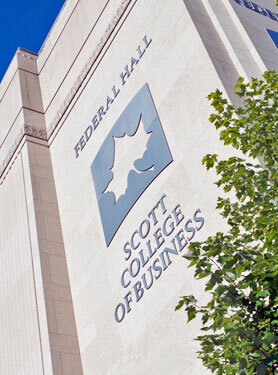 Scott E. Harrington is the Alan B. Miller Professor in the Health Care Systems and Insurance and Risk Management Departments in the Wharton School of the University of Pennsylvania. A former President of both the American Risk and Insurance Association and the Risk Theory Society, he has published articles in numerous academic and policy journals. He has contributed articles to several books and is co-author or co-editor of numerous scholarly books includingCycles and Crises in Property/Casualty Insurance and co-author of the McGraw-Hill textbook, Risk Management and Insurance. Harrington serves on the Shadow Financial Regulatory Committee, as an Associate Editor of the Journal of Risk and Insurance and as an editorial advisory board member for Regulation magazine. A frequent speaker on insurance markets and regulation, he has conducted research, consulted, or served as an expert for the National Association of Insurance Commissioners and for many corporations and industry organizations, and he has testified before Congress and several state legislatures. His degrees are A.B. in Economics, University of Illinois, 1975, and Ph.D. in Finance, University of Illinois, 1979. In February 2007, William Hoagland was named Vice President of Public Policy and Government Affairs at CIGNA. In his role, he works with CIGNA’s business leaders, as well as trade associations, business coalitions and interest groups, to develop CIGNA’s policy and advocacy positions — particularly on health care reform issues — at both the federal and state levels. Hoagland has more than 30 years of government experience in numerous roles including public policy analysis and management and legislation development and implementation. From 2003-2007, he served as policy adviser and top budget aide to former Senate Majority Leader Bill Frist (R-TN). Hoagland previously served on the Senate Budget Committee under Sen. Pete V. Domenici and as the Senator’s staff director; as special assistant to the Secretary of Agriculture; and as an economist in the Congressional Budget Office. Roll Call, the Capitol Hill daily, named Hoagland as one of the most influential staff members on the Hill. In addition, Hoagland has provided monthly briefings to National Governors Association representatives in Washington and regular briefings to the National Conference of State Legislatures. In 2004, the National Association of State Budget Officers honored Hoagland with its Leadership in Budgeting Award. In 2002, he received the James L. Blum Award for Distinguished Service in Budgeting, and most recently, Hoagland was inducted as a Fellow into the National Academy of Public Administration. He attended the U.S. Merchant Marine Academy and holds degrees from Purdue University and The Pennsylvania State University. Mantooth joined Gibson in 2008. In 2010, he became a Principal and a member of the five-person Senior Leadership Team, aiding the implementation of the overall strategic plan of the agency. Prior to joining Gibson, Mantooth was employed at the Indianapolis office of Mercer, working with clients in the financial services, education, healthcare, and manufacturing industries where he also had oversight of the small and middle market divisions for the Indianapolis office. He began his insurance career with Aon Consulting in 1999. Jim Mills is the Vice President of Human Resources for Fairfield Manufacturing Company based in Lafayette, Indiana, a position he has held since March of 2006. Mills is currently Chairman of the Indiana Chamber of Commerce Health Care Policy Committee. He is a graduate of the University of Illinois at Urbana-Champaign. Previously with General Motors, Mills held a variety of HR-related positions culminating as Regional Manager for Health Care Initiatives, responsible for the entirety of GM’s Indiana health care expenditure. He has served on multiple committees and task forces related to health care issues in the Central Indiana area; was a founding member of the Employer’s Forum in Indianapolis; was the Co-Director of the Madison Health Partners community health care initiative based in Anderson, Indiana; and was the HR/benefit principle on the City of Indianapolis’ Task Force on the privatization of the Naval Avionics facility in 1996. Neil Pickett is Director of Policy and Planning at Indiana University Health. He is responsible for assessing the impact of changes in federal and state healthcare policy on the IU Health system and the Indiana University School of Medicine, and for developing IU Health’s positions on key health policy issues. In addition, Mr. Pickett supports and contributes to IU Health and School of Medicine strategic planning projects and initiatives. Prior to joining IU Health in January 2009, Mr. Pickett served for four years as Senior Policy Director in the Office of Indiana Governor Mitchell E. Daniels, Jr. Before joining the Governor’s office, Mr. Pickett worked for 10 years at Eli Lilly and Company, where he held a number of corporate affairs and corporate strategy positions. Before joining Lilly in 1995, Pickett worked as a journalist for the New Republic and the National Law Journal and then at the Hudson Institute. Mr. Pickett holds a B.A. from Brandeis University, and an M. Phil. in International Politics and Economics from Oxford University (St. Antony’s College). He has also studied at the Sorbonne in Paris. Instrumental in developing and promoting ideas for reform that transfer power over health care decisions to doctors and patients, she speaks and writes extensively about incentives to promote a more competitive, patient-centered marketplace in the health sector. She testifies regularly before Congress and advises senior government officials, governors, and state legislators on health policy, and is a co-author of Why ObamaCare Is Wrong for America, published by HarperCollins in 2011. Turner served for a three-year term as a member of the National Advisory Council of Healthcare Research and Quality and as a member of the Medicaid Commission, charged with making recommendations to modernize and improve Medicaid. In the mid-1990s, she served as executive director of the National Commission on Economic Growth and Tax Reform. For 12 years, she was president of Arnett & Co., a health policy analysis and communications firm. She is founder and facilitator of the Health Policy Consensus Group, which serves as a forum for analysts from market-oriented think tanks around the country to analyze and develop policy recommendations. She is the editor of Empowering Health Care Consumers through Tax Reform and produces a widely-read weekly electronic newsletter, Health Policy Matters. Seema Verma is the President of SVC, Inc., an Indiana health consulting company. Verma has worked extensively with state, local and federal government agencies and private corporations on projects in the social services arena including the uninsured, Medicaid, public health, and other social services programs. She has served as a policy advisor to the State of Indiana on health care issues, is the architect of Governor Daniel’s Healthy Indiana Plan (HIP) and has led efforts to implement all aspects of the HIP program. Currently she serves as the Health Care Reform Lead for Indiana and is responsible for coordinating the various Indiana State agencies around the implementation of the Affordable Care Act. Prior to consulting, Verma served as Vice President of Planning for the Health & Hospital Corporation of Marion County. Prior to her work at HHC, Verma was a Director with the Association of State and Territorial Health Officials in Washington D.C. Verma received her Master’s in Public Health from Johns Hopkins University, and her Bachelors in Life Sciences from the University of Maryland, College Park. David E. Wilson has over 25 years of experience in all aspects and phases of employee benefits plan management, including plan design, underwriting, project management, employee communications, and plan administration. Today, he serves as a Senior Consultant and the President of Wilson Partners and is recognized nationally as a leader in design and management of employee-centered health and health care solutions, and a founder of the consumer-centric health care movement. In 1983, Wilson founded FlexBen Corporation, an employee benefits consulting and administration firm focused on comprehensive Flexible Benefit and Consumer-Centric Health Plan Arrangements. In 2005, he founded Wilson Partners, a leadership and strategy management consulting practice. Asset Health was launched in 2006 to deliver e-learning knowledge management to the employer-employee health care markets, driving employee adoption of direct and active responsibility. Most recently, he formed Asset Media to increase brand and business valuation in popular health culture. Wilson sits on the board of the Foundation for Health and Productivity and is a member of several organizations that deal with employee health benefits, regulation, advancement and legislation. He is a graduate of Ohio Wesleyan University.